Savage River Farm is a small diversified farm in the Savage River watershed of western Maryland. We raise vegetables, animals and mushrooms by natural methods, without the use of synthetic fertilizers, pesticides, growth hormones, or unnecessary antibiotics. Our veggies, mushrooms, eggs, chicken, turkey, beef, lamb, goat, and honey are available through a consumer cooperative. Members of the farm are invited to come out once a week to put together a share of the items they love best. Non-members can find a limited selection of Savage River Farm goods at local Farmer's Markets from June through October. Visit our farm stand at the downtown mall in Cumberland on Thursdays, Frostburg City Place on Fridays, and the Oakland Market on Saturdays to buy fresh, local produce and eggs. Savage mountain Farm is a small, diversified, certified naturally grown farm in the northern Appalachian mountains of Somerset County, Pennsylvania. We raise produce, livestock, livestock feed, and mushrooms on 150 acres. We steward the land and animals in our care using natural methods. Our produce and mushrooms are raised without the use of synthetic, inorganic fertilizers, herbicides, or pesticides. 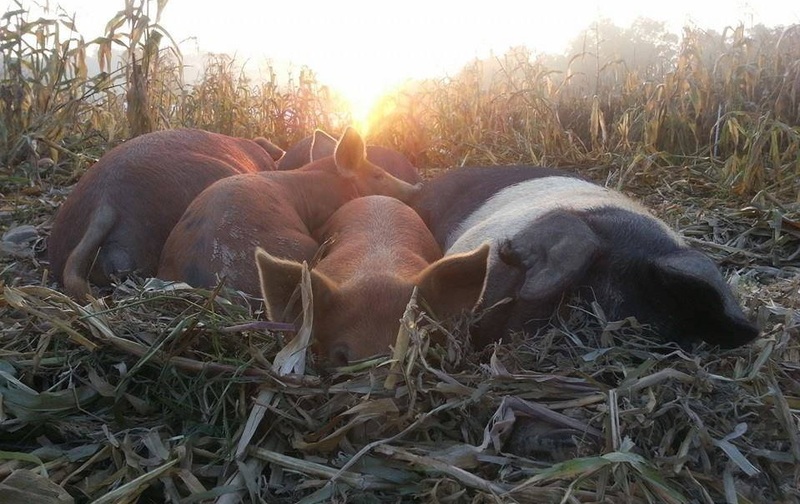 We allow our animals to express their true nature in the outdoors and provide them access to high-quality, minimally-processed feed including forage, garden veggies, whey, and homegrown grains and hay. Our vegetables, fruits, mushrooms, eggs, chicken, turkey, pork, beef, lamb, baked goods, and honey are available through a consumer cooperative. Members of the farm co-op are invited out weekly to put together a share of the foods they love best. You can choose which level of membership best suits your needs and sign up below! You can now purchase our products online to be delivered directly to you!